Kick off your visit on the 18th (Sun): make a trip to LUVATTUMAA - Levi Ice Gallery, surround yourself with nature on a nature and wildlife tour, then have some family-friendly fun at Kid's Land, and finally make a trip to Giewont Husky Adventures. 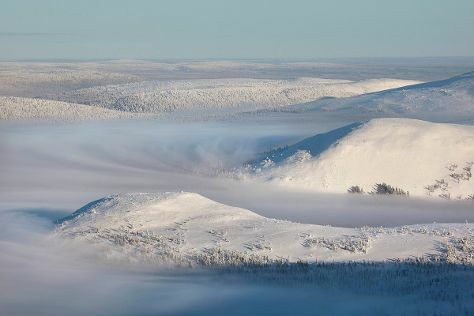 Get ready for a full day of sightseeing on the next day: ski along the peaceful trails at Pallas-Yllastunturi National Park. To find other places to visit, maps, photos, and other tourist information, refer to the Levi travel planner. Budapest, Hungary to Levi is an approximately 14-hour flight. You can also drive. The time zone difference moving from Central European Time (CET) to Eastern European Time (EET) is 1 hour. In November, Levi is much colder than Budapest - with highs of -3°C and lows of -11°C. 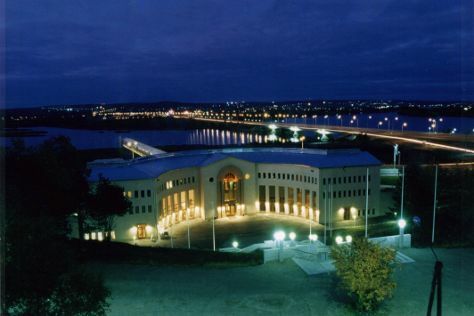 Finish up your sightseeing early on the 19th (Mon) so you can go by car to Rovaniemi. Explore hidden gems such as Ounasvaaran Hiihtokeskus Oy and LAURI. There's much more to do: get in on the family fun at Santa Claus Village, take in the views from Lumberjack's Candle Bridge, explore the fascinating underground world of Syvasenvaara Fell, and take an in-depth tour of Arktikum. To find where to stay, other places to visit, maps, and more tourist information, use the Rovaniemi trip planning site . Getting from Levi to Rovaniemi by car takes about 2.5 hours. Other options: take a bus. November in Rovaniemi sees daily highs of -2°C and lows of -7°C at night. Wrap up your sightseeing on the 22nd (Thu) to allow time to travel back home.